To begin, head to <your-website-url>/manage. 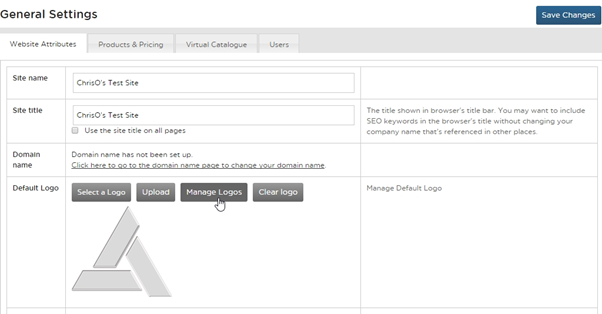 From within ‘Website Attributes’, you will notice a section called ‘Default Logo’. From here, you have a number of options, which are outlined below. 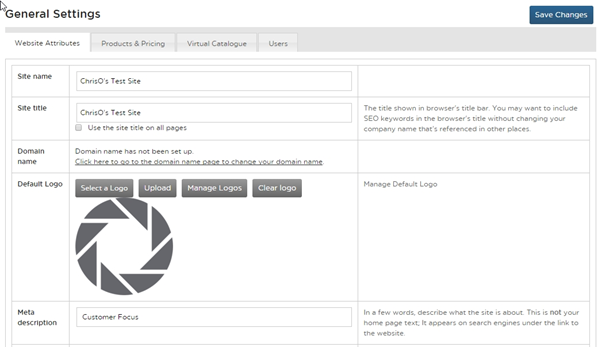 To begin managing logos, first we need some uploaded logos to manage! To start the process, click the ‘Upload’ button. This will bring up the Logo Manager window. Click on the ‘choose file’ button to bring up a file browser. Navigate to the logo you wish to use and double click. You will know this has worked because the ‘No File Chosen’ text next to the choose file button will change to the filename of the logo. 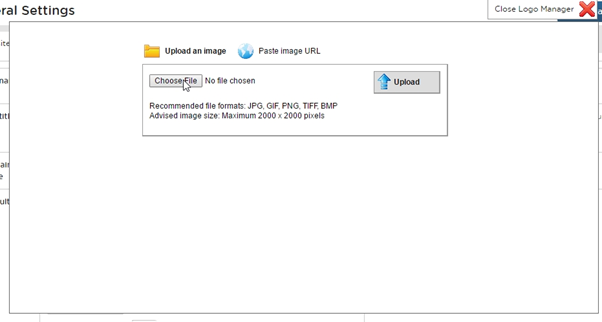 Once it is selected, click the ‘upload’ button to add this logo to your selection. 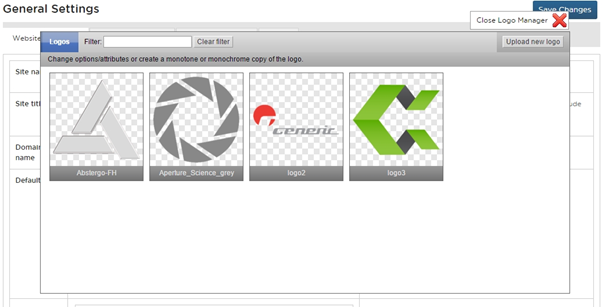 From within logo options, you can add tags and labels to your logos as well as mark them for deletion. To the right, you will see three radio buttons underneath three variants of your logo. This is the background removal tool. You can select to leave the bankground as-is, remove all background or remove background from the edges only. Which you use depends on your preference, although if your logo contains a significant amount of background colour, we recommend removing this to allow the logo to work better with formatting rather than pushing out text with a bunch of white space. 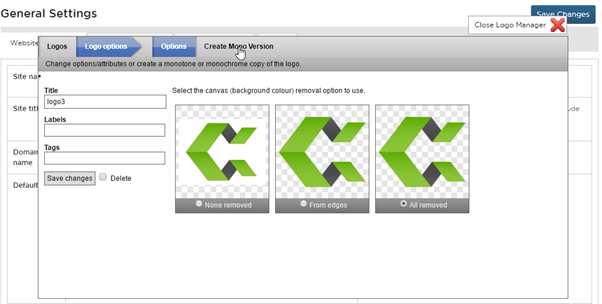 You can Also use this screen to set which logo is generated by default in relevant areas of the site. 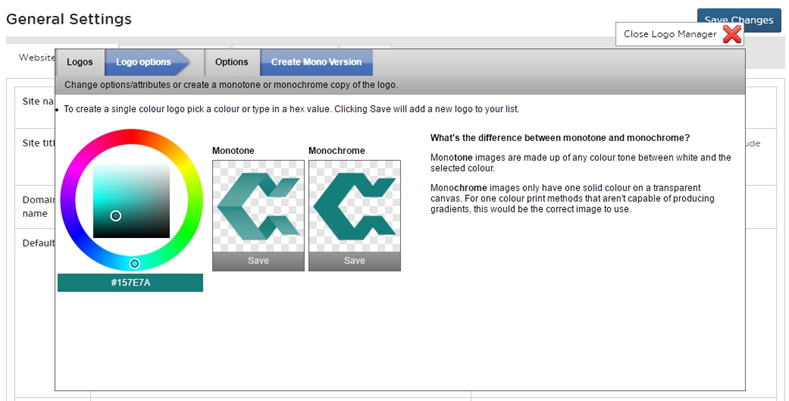 To make a selection, click the ‘Select a Logo’ button from General Settings. This will bring up a smaller window with a grid of your logos. Simply click a logo here to mark it as the default. Finally, you can use this screen to wipe the default logo, so that one isn’t generated automatically and has to be selected manually. To do this simply click the ‘Clear Logo’ button on General Settings. Note that this won’t clear out your uploads, just the default selection, so you won’t have to re-upload any desired logos following this action.